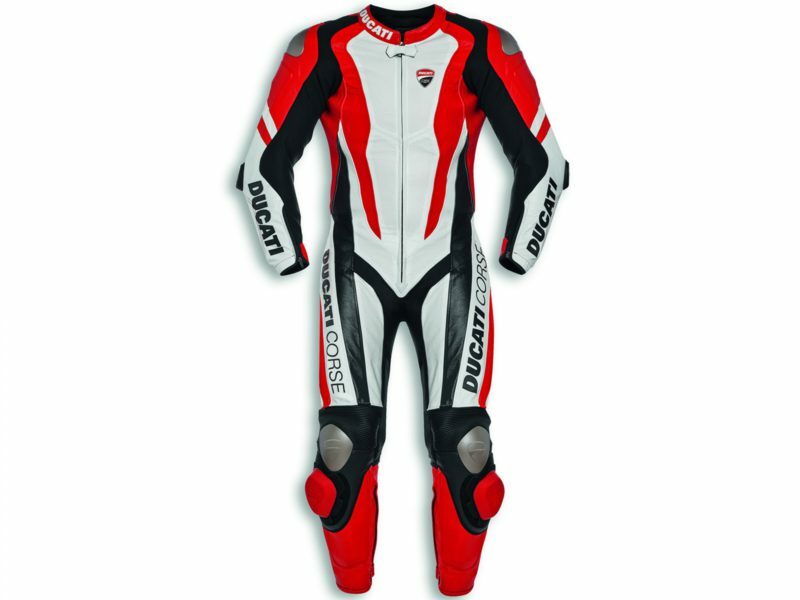 Ducati Corse K1, available in both standard and custom sizes, is specifically designed for sports use. 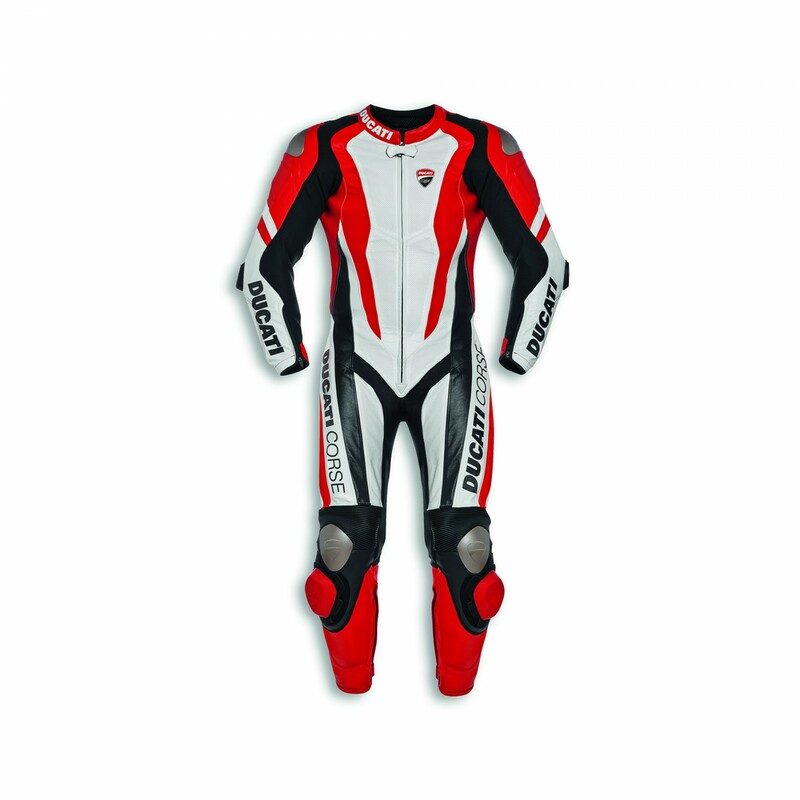 Designed by Aldo Drudi and produced by Dainese exclusively for Ducati, it is made of durable and lightweight kangaroo leather with large ventilated areas. The suit is fitted with patented Tri-Axial inserts on the back and aluminum plates built into the shoulders, elbows, and knees. The elbow and knee constructions – with interchangeable sliders – are pre-curved to accompany movements and increase riding comfort. Ducati Corse K1, fully level 2 CE-certified, is ideal for anyone looking for extreme emotions without sacrificing safety.